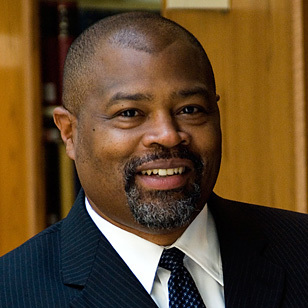 Kevin D. Brown is the Richard S Melvin Professor at Indiana University Maurer School of Law. He teaches a variety of courses including Torts, Law and Education, and Race, American Society, and the Law. Brown has published over fifty articles or comments on issues related to race, law and education. His research interest is motivated by the effort to bridge the vast cultural gap that exists in American society between its majority and minority populations. In 2005 his book, Race, Law and Education in the Post Desegregation Era was published by Carolina Academic Press. His current book, Because of Our Success: The Changing Racial and Ethnic Ancestry of Blacks on Affirmative Action will be published in June of 2014 by Carolina Academic Press. Brown has one of the original participants and founders of both Critical Race Theory Workshop in Madison, Wisconsin. Brown Professor Brown has served as a panelist and delivered papers at scholarly conferences across the country. He has been affiliated with universities on four different continents, including the National Law School of India University in Bangalore, India; the Indian Law Institute in New Delhi, India; the Law Faculty of the University of Capetown in Capetown, South Africa; and the University of Central America in Managua, Nicaragua.